Joey is back with another set of hardest bars and lyrics to have come across our ears this week. S10, EP. 27 sees him enlisting Skepta, Big Narstie, Ard Adz, Lowkey and M Dargg. Hardest Bars number #5 goes to Angel’s Town, M Dargg for his very on his latest release “Nexx”. 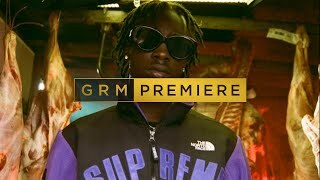 After a quiet period for him, M Dargg seems to be ready to make his return the scene, coming in with a bashment sort of vibe and leaving Joey impressed with the overall package of his project. Number #4 sees Ard Adz in his consecutive week of being in Hardest Bars. This time, Joey mentions his verse in “Smoke For Free”, taken off his latest album “Adam”. Ard Adz gets personal in rapping about one of his friends currently in jail, showing off one more time how relatable his songs can be to tough every day life situations. Skepta is Joey’s number #3 with his verse on “Energy” with WizKid. The audio has been streamed over and over again but the visuals released this week have given the perfect excuse to bring it up one more time as Skepta kills any tempo and any flow. Number #2 is Lowkey with his BBC Radio 1’s Asian Beats Freestyle. He is one of the artists to touch on real topics and real issues in the world, standing up for something. Although absent from the scene lately, Lowkey impressed Joey with his freestyle, his flow reminding him of Eminem. Number #1 this week rightfully goes to Big Narstie and his Behind Bars freestyle. He is genuinely a multi-talented artist and he did not disappoint this time either, killing his delivery. 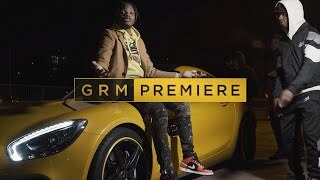 Makes sure you watch the video to find out when Shiro’s Part 3 is out, thoughts on GRM Rated Awards, Meek Mill and Drake squashing their beef and much fore highlights of the week.